Sammi first became involved with the National Alliance for Autism Research (now Autism Speaks) in 2001 shortly after her son, Bailey, was diagnosed with autism. 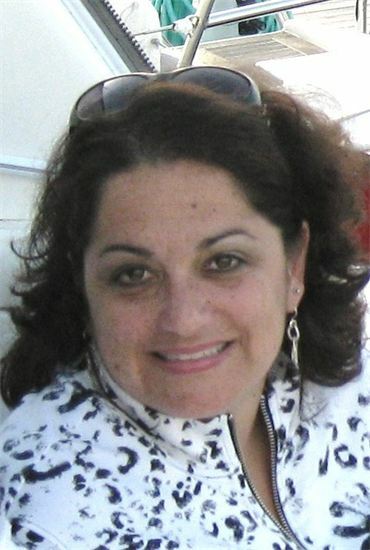 As a volunteer, she has raised awareness about autism throughout Southern New England; and in 2003, 4 & 5; she chaired the Southern New England Walks for Autism Research held in Providence, RI. She was also a member of the New England Chapter Board of Directors for Autism Speaks from November, 2006 until January, 2008. As the captain of “Bailey’s Team”, Sammi along with her family and friends, have raised over one half million dollars for autism research, education and programming in support of individuals living with autism spectrum disorders and their families through an annual campaign, a charity golf tournament and many other fundraising events. She is involved with numerous committees and projects throughout the special needs community and recently served as the Co-Chairperson of the Rhode Island Autism Coalition. In addition, she served alongside leading professionals in the field of autism on a statewide committee charged with writing a guide for parents on the subject of autism. This project was spearheaded by the Rhode Island’s State Department of Health and the first draft was released in 2006. Sammi has co-written and helped to implement a new program for the Hockomock Area YMCA called the Integration Initiative. The overall mission of this initiative is to provide an opportunity for children with special needs to participate in an included recreational setting with typically developing peers. Her last formal employment in the nonprofit sector was with Community Care Services where she served as the Director of Professional Development setting up trainings on a number of topics including autism. Sammi lives with her husband Doug and their three children – Rachel, Bailey and Spencer; and she is stepmom to Lindsay. She also recently became a “step-grandmother” to Georgie. Sammi and Doug’s plans to create their own 501(c)3 non profit organization finally came to fruition in the summer of 2008 and to date continues to raise money in an effort to fund numerous programs and organizations each year.